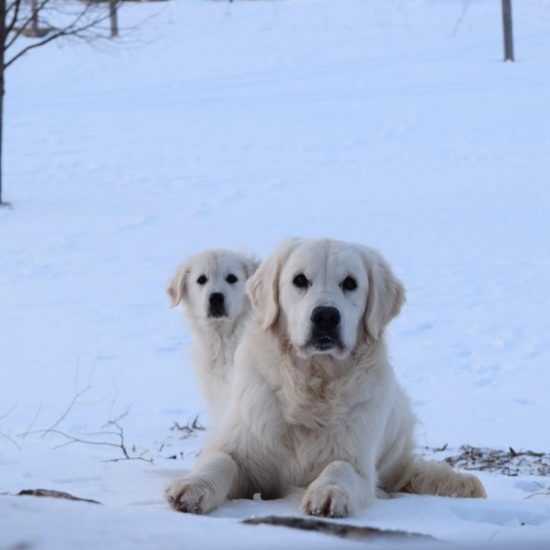 English Creme Golden Retrievers is our specialty. European Creme Champion parents on site. Welcome to South Branch Goldens! For over 65 years, South Branch Goldens has been dedicated to raising healthy, loving, AKC registered golden retrievers. Our goldens have excellent temperaments and make great family pets. Our breeding program concentrates on health, temperament and characteristics consistent with the Golden Retriever Breed Standard. Our Goldens are show quality with genetics from European Champion lines. © Copyright 2019 · South Branch Goldens - Use of materials found on this site is expressly prohibited without written consent of South Branch Goldens.